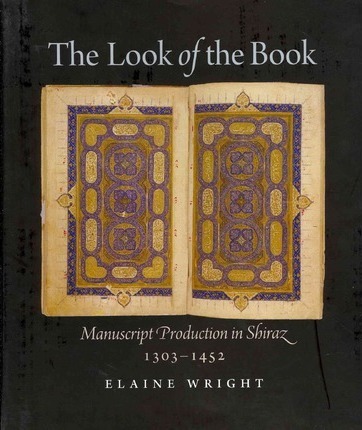 The Look of the Book assesses the role of the city of Shiraz in Iranian book production between the early fourteenth and mid-fifteenth centuries. It is the first detailed analysis of all aspects of the book--illumination, codicology, illustration, calligraphy, and binding--during this significant era when the "look of the book" was transformed. Four periods of change are identified: the years following 1340, until the end of Injuid rule in Shiraz; the later 1350s and the 1360s, during Muzaffarid rule; the years from 1409 to 1415, when the Timurid prince Iskandar Sultan was governor of Shiraz; and the decade (1435-45) following the death of Ibrahim Sultan, Iskandar's cousin and successor as governor. Although the focus is Shiraz, the author's comparative and chronological approach to the material means production elsewhere in Iran is also considered, while the results of the study increase our understanding of the history and development of the arts of the book not only in Shiraz, or even Iran as whole, but also in other centers of the Islamic world that followed the Iranian model. Highlights of this book, which is heavily illustrated with exquisite illuminated manuscript pages, are its examination of illumination, an overlooked area of book production; the codicological aspects of the manuscripts, including paper and text layout; and the development of nasta`liq script. The manuscripts studied are held in more than fifty collections, primarily those in Dublin (Chester Beatty Library), Istanbul (Topkapi Palace Library and Museum of Turkish and Islamic Arts), London (British Library), Oxford (Bodleian Library); Paris (Bibliotheque Nationale de France); and Washington, DC (Freer and Sackler Galleries of the Smithsonian Institution). Elaine Wright is curator of the Islamic Collections at the Chester Beatty Library in Dublin, Ireland.